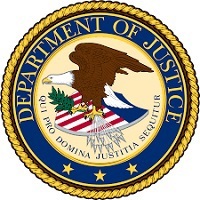 The Department of Labor and the Department of Justice have established a new initiative to prevent and deter crimes that jeopardize the lives and health of workers. The initiative strengthens the ability of the two departments to investigate and prosecute employers who fail to provide a safe workplace for their employees. Deputy Secretary of Labor Chris Lu joined Deputy Attorney General Sally Yates in signing the agreement during a ceremony at the Dept. of Justice on Dec. 17. After a series of tornadoes struck parts of north Texas last week, causing at least 11 deaths and extensive destruction of property, OSHA moved quickly to ensure the safety of recovery workers and responders. The Dallas office dispatched three teams of Compliance Safety and Health Officers to the most damaged areas - Garland, Glenn Heights/Ovilla/Ellis County, and Rowlett - and worked with local officials to deliver safety and health information to recovery contractors and workers. The teams also sought to ensure that workers conducting cleanup activities had the proper training and equipment. "Recovery work should not put you in the hospital emergency room," said John Hermanson, OSHA's regional administrator in Dallas. He noted that workers could encounter hazards related to restoring electricity, communications, and water and sewer services, as well as demolition, tree trimming, debris removal and more. To spread the word, Hermanson issued a local news release urging caution and pointing to OSHA's extensive web resources on tornado preparation and cleanup. "OSHA wants to make certain that all working men and women, including volunteers, return home at the end of the workday," he said. To help employers comply with new requirements to report severe worker injuries, OSHA has created a streamlined reporting webpage and now offers the option of reporting incidents online. The expanded requirements took effect in January 2015. 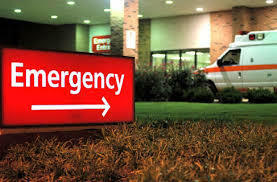 Now, in addition to reporting any worker fatality within 8 hours, employers must report within 24 hours any severe injury – defined as an amputation, hospitalization or loss of an eye. In the first year of the new requirement, OSHA received about 12,000 reports. The agency plans to release complete numbers and a full analysis of the Year One reports soon. 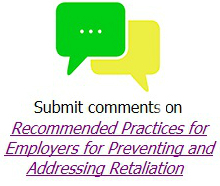 Interested parties have until Jan. 19 to comment on a draft document written to help employers protect employees from retaliation when they raise concerns about workplace conditions or activities. Based on recommendations of the Whistleblower Protection Advisory Committee, the document contains sections on how to ensure leadership commitment, foster an anti-retaliation culture, respond to reports of retaliation, conduct anti-retaliation training, and monitor progress. For more information, a list of questions to consider, and a link to post comments at regulations.gov, please visit the whistleblower guidelines webpage. Public comments on OSHA's updated Safety and Health Program Management Guidelines will be accepted until Feb. 15, 2016. This revision of the voluntary guidelines first published in 1989 includes key principles such as finding and fixing hazards before they cause injury or illness, and making sure that workers have a voice in safety and health. New material should be particularly helpful to small- and medium-sized businesses and address ways in which multiple employers at the same worksite can coordinate efforts to make sure all workers are protected equally. 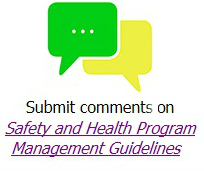 To learn more and post comments, please visit the Safety and health Program Management guidelines webpage. Two years after a worker died by electrocution at a St. Louis steel plant, OSHA inspectors found that workers there continue to be exposed to similar and other hazards on a daily basis. The majority of workers at the plant are Asian immigrants with limited English speaking skills. Prompted by a complaint, OSHA inspectors found numerous violations at St. Louis Cold Drawn Inc., including conditions that exposed workers to electrocution, burn, fall, and amputation risks. In addition, the investigation uncovered allegations that two employees were fired after raising safety concerns or speaking to OSHA officials. The company faces citations for two willful, seven repeated and 22 serious safety and health violations, with proposed penalties of $366,300. To learn more, see the news release. Oregon OSHA administrator Michael Wood recently announced that his agency will tackle "the challenge of outdated permissible exposure limits" by encouraging employers to consider using more up-to-date and protective levels, and by reevaluating four to six of the most significant and outdated PELs on a state level. "We will be bringing together a group of toxicologists, industrial hygienists, and others to advise us about which chemicals represent the most significant unregulated – or under-regulated – risks, as well as to identify any existing state-initiated PELs that are unnecessarily restrictive," said Wood, who announced the initiative in the agency newsletter. OSHA Assistant Secretary Dr. David Michaels welcomed the announcement, saying, "OSHA's state counterparts have always been sources of innovations in worker health and safety. Oregon OSHA's initiative to update Permissible Exposure Limits shows how adaptable and effective State Plans can be in addressing safety and health issues." 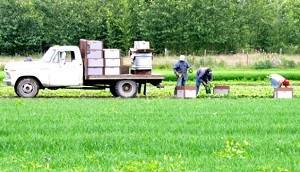 Farmworkers on foot are at risk of being backed over by a farm vehicle. OSHA has developed a new fact sheet that identifies the key causes of backover incidents on farms. The fact sheet outlines safety measures to prevent farmworkers from being struck by vehicles including worker training, driving alternate routes and using hand signals or spotters when noise or distance is a factor.